Know anyone looking for a job? 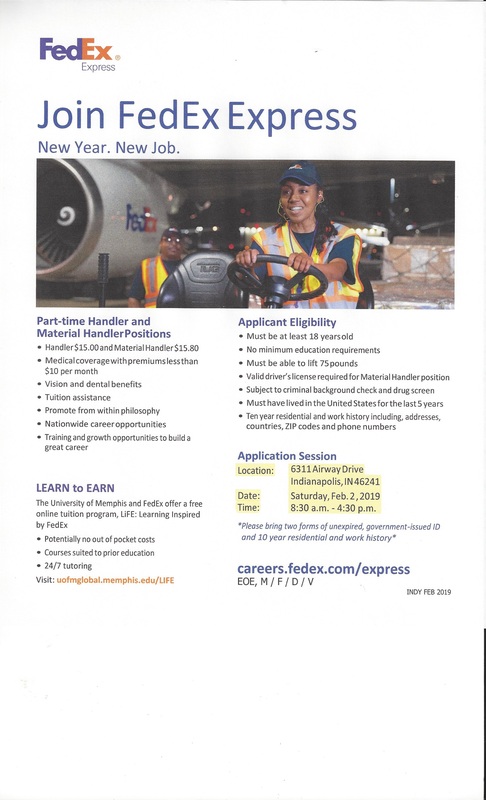 FedEx is hiring and they are having a “hiring fair” this Saturday, February 2nd. They sent out the attached flyer, which gives all the details – what is available, requirements, location, and time – and asked that it be shared. If you do know anyone who is looking for this type of work, Fed Ex seems to be a great company in which to work. Please let them know about this opportunity.